After the Twelve Days of Christmas is Epiphany. It kicks off the most important season of the church year– better than Christmas, stronger than Easter, able to leap Pentecost in a single liturgical bound. At this point in the post, I pause for a number of you to scoot to the edge of your seat in fascination, and the rest to politely excuse yourselves to do anything else you can think of. Bob Webber called Advent-Christmas-Epiphany “The Cycle of Light,” (unrelated to Tron). If Advent is about longing and preparing for Christ’s presence and Christmas rejoices in the eternal breakthrough of God-With-Us, then Epiphany is about manifesting the Christ. Which, in my humbly-justified, sinner-saintly opinion, is the Point of the church. The church exists to reveal, proclaim and embody the Christ. If that seems like a funky new theology, note that the New Testament people of God are collectively called the Body of Christ (Romans 12; I Corinthians 12). That’s a metaphor for the physical manifestation of presence. It’s the Incarnation kicked up a notch. The Magi pilgrimage with gifts: devotion made manifest. Isaiah 60: “Arise, shine! Your light has come… and nations shall come to your light.” We occupy with our lives what’s otherwise 99% invisible. At the Cana wedding party J does water to wine, saying something about “his time” coming, the first of seven signs of transformation in John. J calls and trains the disciples– gathering, equipping, sending. The Transfiguration. Glory in the ordinary leaves us sputtering in awe. To me, all these stories are images of transformation, inviting us to imagine what’s possible in a life. What a great way to begin a new calendar year. In these Epiphany stories, God is up to something brilliantly earthy and mystically intuitive: Christ is to be found in the ordinary, even enacted in you and me with all our uniqueness, embodied in us together. Look up “Christ, Body of” in the dictionary, and you see a family picture of all of us (that’s all) with J. Our Celtic brothers and sisters would not leave out the earth itself, insisting we honor God ‘s presence in all of creation. My “conservative” Christian friends speak in terms of evangelism, proclaiming God’s love to all the world. Yes, that’s it. For my “liberal” Christian friends it’s the call to be Christ’s hands and feet in the world, making a difference in creation. Absolutely. My Buddhist friends work with radical compassion, recognizing that everything is impermanent– the world can change, and we can be part of it. Amen and gassho to that. My New Age friends speak about manifesting divinity in our lives. Sure, that’s it, too. My Muslim friends are clear about his call to serve the world, enriching human fitrah. The Hebrew Covenant in Presence and Torah is embodied in family, politics, religion, meal, prayer, story and song. Yes! My pagan friends are committed to actively honoring the holy in each and every piece of creation. For my atheist friends, there’s transcendent purpose in doing good on behalf of ourselves and the world. Mr. Rogers taught me it’s good to share who you are and what you have. Your seven-year-old knows it. In Epiphany, this is a moment to celebrate this is how the universe works. We might also meditate on the poignancy of just how connected we all are. How might this Epiphany be a time of renewal for your local church? Time to celebrate your light that naturally shines, to consider how you are embodying the Christ, and how God is leading you more deeply in and in some cases farther out. Here’s a short but juicy song for you and your community this Epiphany: “Your Light Has Come” crystallized from a great discussion with Marcia McFee‘s Worship Design Studio a couple of years ago. Your light has come! your light has come! Here’s to the New Year with a Eucharistic toast all together. Download Your Light Has Come music resources from Worldmaking.net. In the final stretch of the calendar year, there is much to pay attention to. Lots of cultural traditions and liturgical moments converge in these final months. From here on out the river moves fast, and something special will happen if you let go of the bank and let the current take you. This post (should you choose to accept it) is to prime your imagination for the ride. That intense mix resonates with these last few months of the year. As a liturgist, I think about how natural markers in time demand or romance our attention. At the end of the year, there are a whole lot of them piled up. It can be a spiritual practice to follow them– to keep in touch with the invitations to integrate what you feel and know, like you’d follow someone on Twitter. Here’s a quick tour of some of these moments for your preparation. Notice the wide range of experiences we are invited into. Harvest: Celebration! Seeds have, without any advice from us or wi-fi, made food. We are woven into all creation. Day of the Dead, All Hallow’s Eve: Re-membering our dead dears, accepting our past, feeling grief and letting go. All Saints: Each of us is woven into a great web of holy witnesses. We ask how to be purely present in the flow of past-future. 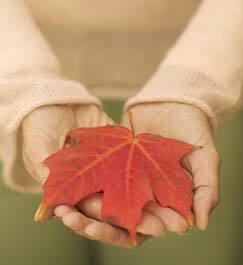 Thanksgiving: Refreshing our gratitude; imagining a thriving, generous life. Advent: Whisper it: Mystery! Longing for newness, we are pregnant with change. Winter Solstice: The darkest day of the year, quiet and stark. The ancients used to climb the mountain with fire to help stoke up the sun. Christmas: Surprise and celebration! Holy-ness is among us; in fact, our very lives carry the Christ. New Year’s: With hope and with tender trust, we begin again. Epiphany: Share what you have; that’s the point of all this. How does it feel to see your life as part of these moments? Celebration and contemplation, gathering and letting go, remembering and starting again. To be a liturgist is to be a farmer. I often find myself in leadership simply inviting people to pay attention to what the current season calls for. It’s not to be taken literally. These moments don’t just happen once a year on the calendar, like, “better get ready to be grateful, because Thanksgiving Day is coming!” No, all these days are practice for what’s possible every day. It’s a spiritual life that recognizes what your life is asking for. You probably have favorite things coming up as well as moments for which you have natural resistance. But listen: you’ve experienced all manner of things this year. These next few months offer the opportunity to integrate these experiences. Each moment coming your way is an invitation to acknowledge, accept and welcome your whole life experience. Are you open to that? A deep breath of space in your body is all that’s needed for today.